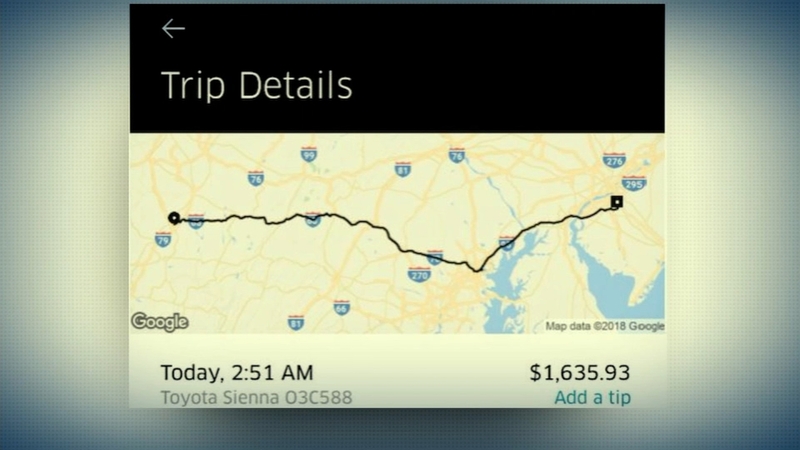 Shirleen Allicot reports on a NJ man who took a $1,600 uber ride home in West Virginia. GLOUCESTER COUNTY, New Jersey -- A New Jersey man made a drunken and costly mistake after a night of partying in another state. Kenny Bachman was out with friends in Morgantown, West Virginia, when he called an Uber to take him back to his friend's place. However, he mistakenly ordered the Uber to this home, 300 miles away in Gloucester County, NJ. He apparently fell asleep and didn't realize it, until he woke up in the Uber hours later. To make matters worse, he ordered an Uber XL, which costs more, and surge pricing was in effect.